Yumm, poison ivy berries! 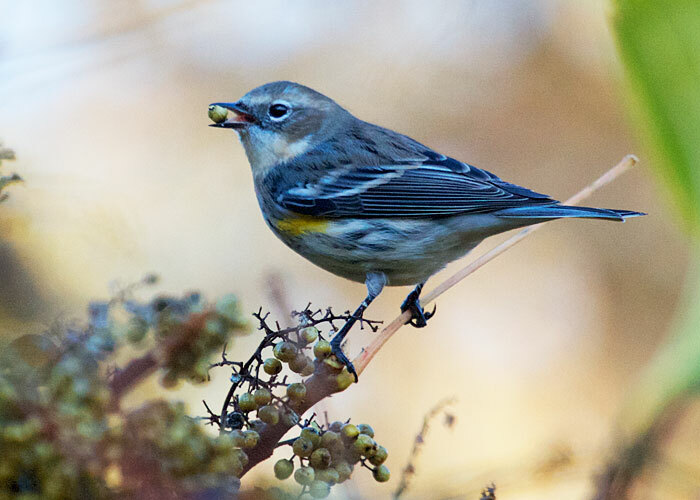 This yellow-rumped warbler plucks 'em and eats 'em like grapes. Some of the seeds pass through the birds' digestive tract and find a new home wherever the bird leaves its droppings. So poison ivy is good to yellow-rumps, and yellow-rumps are good to poison ivy. Best book on warblers we've ever seen. New in 2013! There are 56 species of warblers in North America. This guide helps you to identify them all. 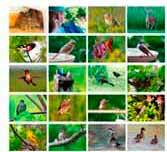 The book contains over 1000 stunning photos, showing each warbler from all angles.